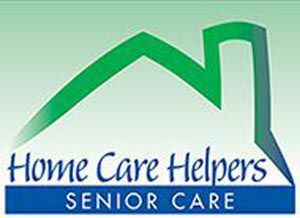 Home Care Helpers is a non-medical private duty, in-home, personal care provider for seniors and family. We offer a free in-home assessment by our Resgistered Nurse. Home Care Helpers also offers Registered Nurse Oversight Care Plans for specialized monitoring of client, the data collected can relayed to the physician an/or family as warranted and requested. Frequency of monitoring by the Registered Nurse ranges from weekly to monthly depending on the cleint`s condition and family requests. Client and family are involved in the formation of this care planning process. Our caregivers are trained on Alzheimer/Dementia & Falls Prevention. Our mission, 'Treating your family member just like one of our own by providing compassionate, tender loving care for peace of mind.' We also offer: ``NO WORRY`` free oversight of general home repairs and lawn maintenance for our client`s. Our mission is to prevent elder fraud. Home Care Helpers offers the two services listed below, we offer one-on-one personal service, free demonstration in your home, free training and free instllation. Medical Alert 24/7, help at the touch of a button, monitored 365 days a year, inside and outside your home. Free in-home demonstration, installation, and no contract. Ask for details on getting one free month of service. Medication Mangement 24/7, Automated Pill Dispenser monitored by a Operation Center 24/7 for compliance, the 'Right Medication, Right Dose, Right Time'. Licensed by the state of North Carolina as a home care agency and we are a member of the Association for Home & Hospice Care of North Carolina. Certified by NCDMA to provide Medicaid services. Assistance with activities of daiy living meeting your needs and interests. Assist with bathing, hygiene, dressing, skin care, toileting and incontience care. Assist with meals & clean -up.. Light housekeeping, laundry, linen changes, pet and plant care. Transportation to doctor`s visits, shopping, prescription pick-up, church, hairdresser, lunch, movies, etc. Companionship, one-on-one care at home, hospitals, asisted living & skilled nursing centers. Providing as few as 2 hours per day, up to 24/7, including weekends & holidays. Handing bill pay, assistnace with writing letters, games, crafts, walking, recreation and reminicing about the past. Free in-home Registered Nurse assessment. Live-in cases or 10 hour overnight visits. Flexible and affordable rates.. You will receive peace of mind knowing your caregivers are:carefully interviewed, carefully screened, background checked, insured & bonded, experienced, well trained, dependable, and honest. Home Care Helpers handles all scheduling, taxes, insurance, and worker`s compensation responsibilities.